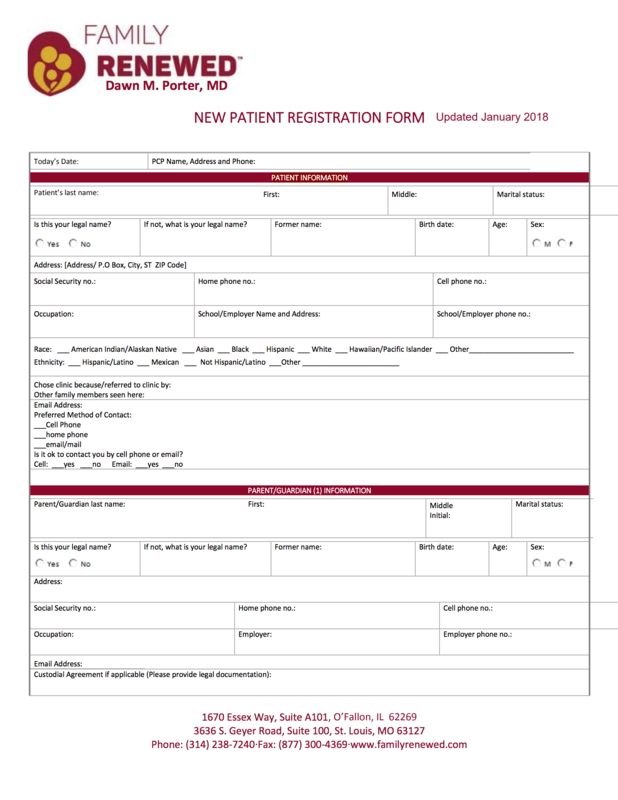 Click on the thumbnail images or titles to download the forms (PDF). In order to schedule a new appointment to be seen by Dr. 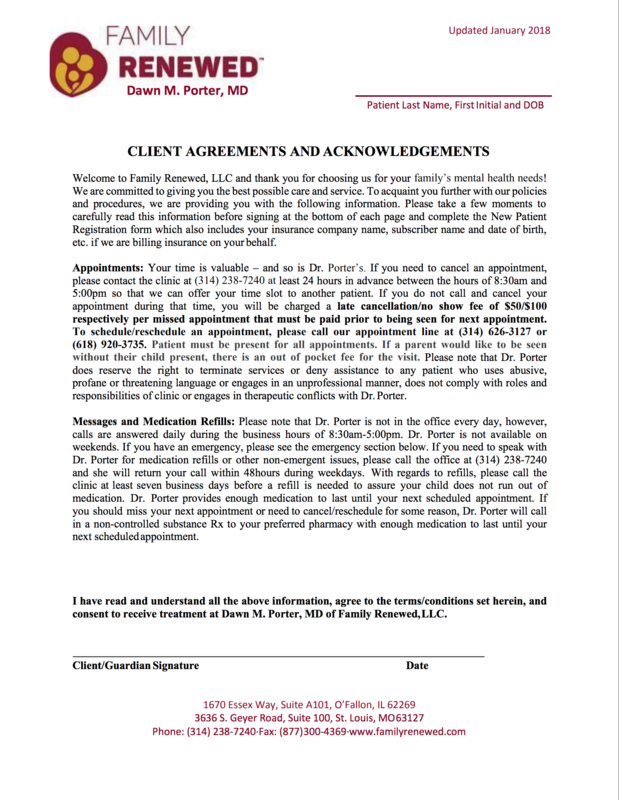 Dawn M. Porter, clients will need to complete the New Patient Registration form and Client Agreement Forms and fax back to Dawn M. Porter, MD of Family Renewed at the secure HIPAA compliant fax number: (314) 238-7241. Once you have faxed the paperwork, please complete the online registration form and indicate that the documents have been sent. If you have any questions, please feel free to call the Family Renewed office at (314) 238-7240 and leave a message; someone from our office should get back with you shortly. Touching families by shaping beliefs and values of the family is what we are about…. Helping families find their purpose! Don’t lose your mind over keeping your family together – let us help!